Dr Catherine Knight is a writer and environmental historian. She is a Senior Associate at the Institute for Governance and Policy Studies, Victoria University of Wellington and Honorary Research Associate at the School of People, Environment and Planning, Massey University. She has published four books relating to New Zealand’s environmental history, including New Zealand’s Rivers: An environmental history (Canterbury University Press, 2016), which was long-listed for the Ockham New Zealand Book Awards, short-listed for the New Zealand Heritage Book Awards and selected as one of The Listener’s Best Books for 2016. Her other books are: Beyond Manapouri: 50 years of environmental politics in New Zealand (Canterbury University Press), which was a finalist in the New Zealand Heritage Book Awards; Ravaged Beauty: An environmental history of the Manawatu (Dunmore Press), which was the winner of the J.M. Sherrard Award for Regional and Local History; and Wildbore: A photographic legacy (Totara Press). 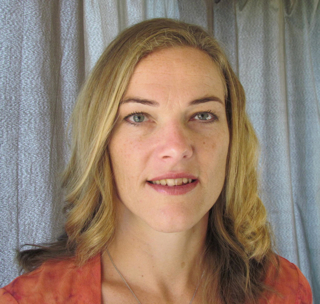 Catherine works as a policy and communications consultant at KHM Consulting, based in the Manawatu. She and her family have recently returned to her turangawaewae, the Manawatu, to settle on the block of land she and her husband bought over a decade ago, in the picturesque Pohangina Valley [see: Creating our own Totara Reserve in Pohangina]. Catherine has a MA and PhD in Japanese Studies – both her theses focused on nature conservation and environmental management practices in Japan. Her research on Japanese perspectives and treatment of nature made her curious about attitudes to nature in her own country – New Zealand – and she soon found that, despite a small population and relatively short human history, New Zealanders (of all skin hues) have been remarkably destructive towards their natural environment. Click here to listen to “Mountains, bears and conservation in New Zealand and Japan” – a podcast interview with Catherine by UK-based environmental historian Dr Jan Oosthoek. Dr Knight’s contributions are always read with interest,respect and appreciation for her evocative and sad reflections on how things today have been effected by the perceptions that ruled the past.I rarely post comments on blogs,but hers always provoke guilt in me for failing to thank her, which I now do so copiously. Many thanks Peter for your kind comments. They are much appreciated. As we said in envirohistory NZ’s recent birthday post https://envirohistorynz.wordpress.com/2011/11/15/happy-2nd-birthday-envirohistory-nz, this site would mean nothing without its followers and readers, like yourself. Thank you for your ongoing support!